Mold Exposure Symptoms ........Is Mold Making You Sick? Mold exposure symptoms include a wide range of respiratory symptoms, like coughing, sneezing, runny nose, sore throat, asthma or asthma-like symptoms, labored breathing, wheezing and upper respiratory tract infections. House mold symptoms go beyond respiratory symptoms, though, to include things like dizziness, fatigue, headache, depression, short-term memory problems and difficulty concentrating. Skin irritation may also occur. It can sometimes be hard to determine if you’re experiencing mold exposure symptoms or symptoms of another problem, since many other things can cause symptoms similar to house mold symptoms. Anyone living in a home with a significant amount of mold is at risk for symptoms of mold exposure. 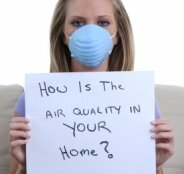 Not all types of mold pose health hazards and not everyone living in a home with types of mold that are known to cause health problems gets ill, but if you have mold in your home you are at risk and if you have symptoms of exposure to mold, you should check your home for potentially harmful mold. Young children, elderly people, people with immune system disorders like HIV, AIDS or bone marrow transplants, and people with respiratory problems like asthma or emphysema are at particular risk, though even healthy adults can sometimes develop symptoms given sufficient exposure. If you or your family members have been experiencing symptoms of exposure to mold, you should conduct a thorough examination of your home. Pay close attention to areas that are often damp, like basements, garages, crawlspaces, attics and under sinks. Also check any areas where your roof has leaked or where pipes have leaked. Look for black streaks of mold that appear slimy. If you or your family members have been experiencing mold exposure symptoms but you have not been able to locate any mold in your home, consider calling in a professional. 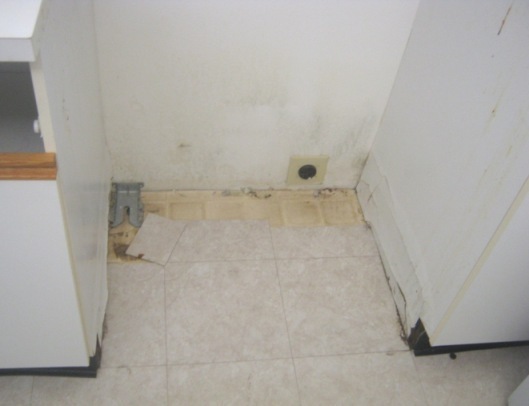 A licensed mold removal specialist can examine your home and identify any hidden mold. He or she can also advise you about the best way to clean up any mold that is found, or simply handle the cleanup for you. Even if you are able to locate some mold yourself, we suggest calling in a professional because if you miss any mold or fail to clean up mold completely, your house mold symptoms will only worsen and symptoms can become quite serious over time. Most mold removal specialists will offer you a free home inspection, so you have nothing to lose by calling one in. In the picture below mold was found behind a stove. It was caused by an adjacent dishwasher leak. Many house mold symptoms can be treated with over-the-counter medications, the same kinds of medications used to treat allergy symptoms or colds. Asthma or asthma-like symptoms often require prescription medications, though, and infections of the respiratory tract require prescription antibiotics. See your doctor if you have signs of illness that you think might be mold exposure symptoms if over-the-counter remedies don’t do the trick. Let your doctor know if you think you may have been exposed to hazardous household mold. You’ll need to get the mold cleaned up, though, if you want your symptoms to go away for good. Medications can provide temporary relief but your symptoms will only return if any mold remains in your home. For a list of Licensed Professionals in your area that will assess your home for mold and make recommendations for cleaning up any problem areas, just follow the link. These professionals will offer a free assessment of your home and give you a free estimate of the cost of a professional cleanup. You have nothing to lose but your house mold symptoms, so contact a licensed specialist today.